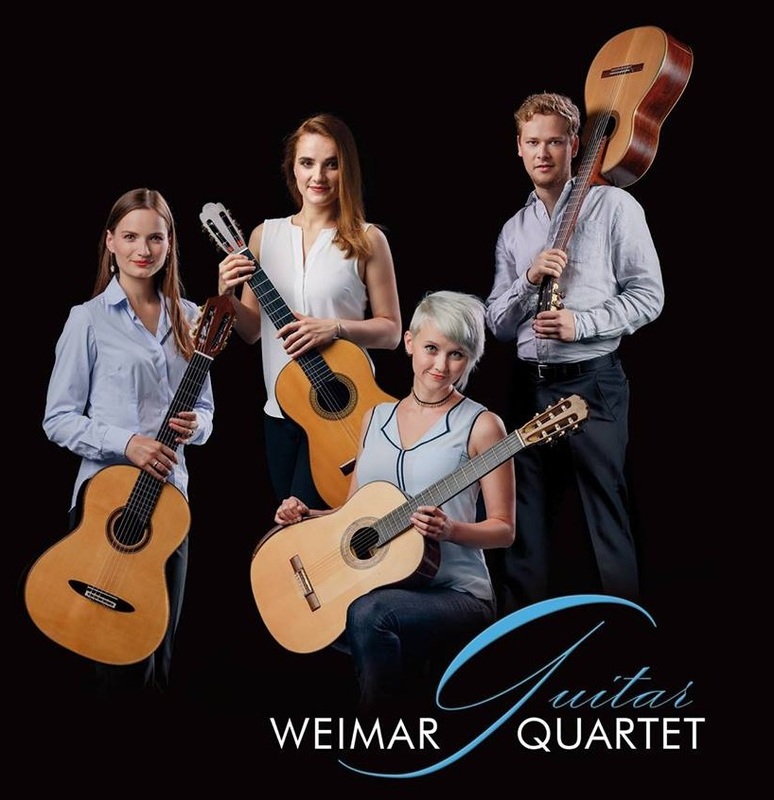 The Weimar Guitar Quartet is an enchanting innovation in the world of chamber music. The ensemble consists of Stephanie Jones, Karmen Stendler, Hanna Link and Jakob Schmidt. 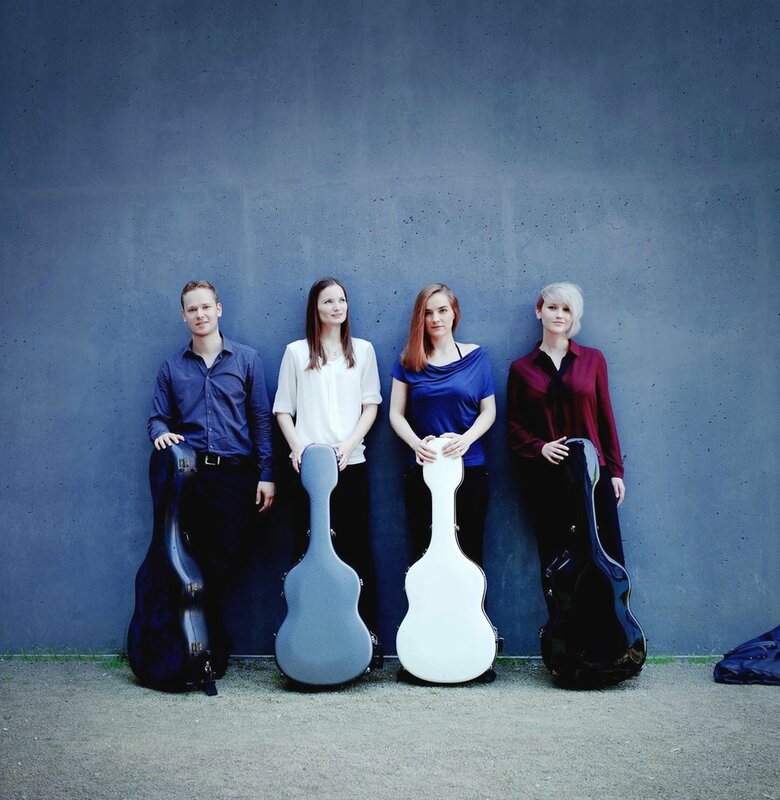 The four renowned musicians from Australia, Slovenia and Germany played their first concert together in 2016. Since then they have been inseparable on stage, where they delighted their listeners with an unmistakable enthusiasm for all sounds the guitar has to offer. 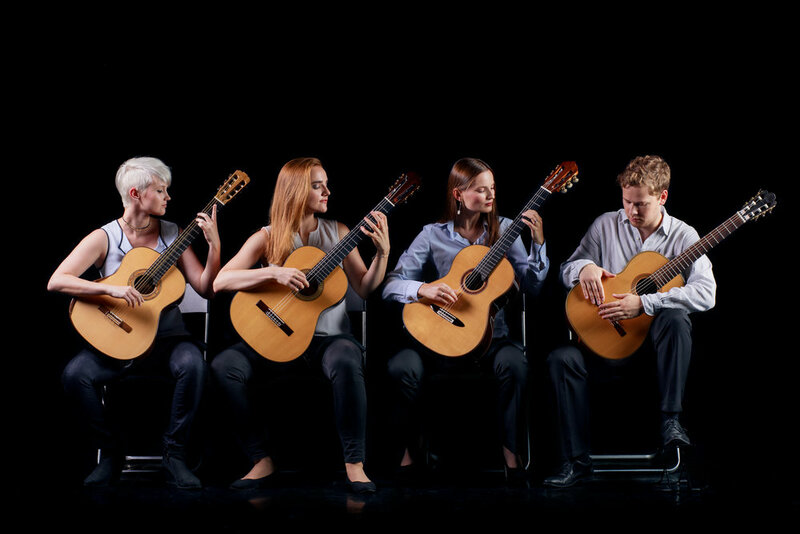 Their playing is notable for their great technical repertoire, a wealth of contrasts and sound colours, and an uncompromising devotion to music in detail and drama. All four musicians were fortunate to enjoy an exceptional education with the best teachers from across the globe. This, along with many awards and prizes, is only a confirmation of an unforgettable experience that is shared with a world-wide audience. We released our first CD! You can get the physical album by ordering it directly with the PayPal buttons. You can also buy it through iTunes and other digital distribution services. Printed, recorded and edited in Germany. Looking forward to sharing our musical endeavours with you!